Welcome to our website. Here you will find all the answers to Word Mocha Macchiato, also the links for the other categories. 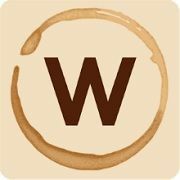 If you are fed up being bored and want to start something interesting but don’t want to waste your precious time by playing those worthless games available on the internet, you can play “Word Mocha”, the best word-combining game available on Google play store and Itunes. If you are you looking for answers for other categories, then you need to navigate to Word Mocha Answers‘ main page.